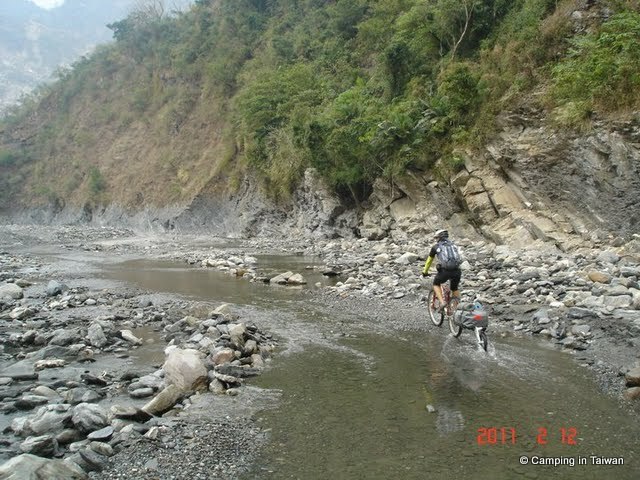 Two days one night journey on our mountain bikes in search of a hot spring on a river bed that has been raised 30mtr after the last Typhoon in 8 Aug 2009. 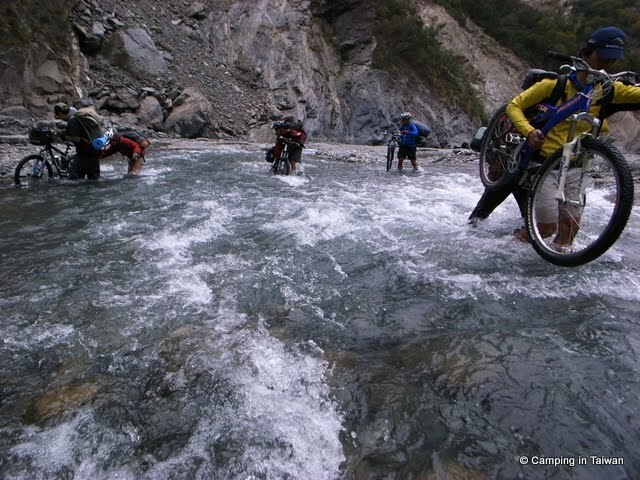 No mountain to cross but countless of river crossing. 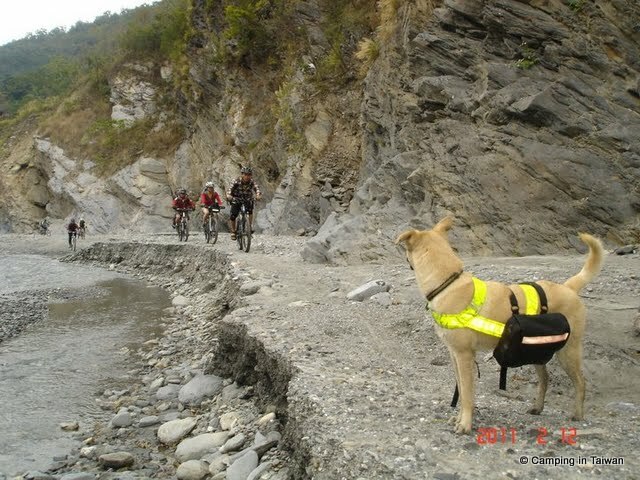 12 Feb 2011, total 11 bikers and our dog, Siboy undertook a journey that covered 16.4Km deep into the mountain valley and probably the only bikers that rode that deep inside. 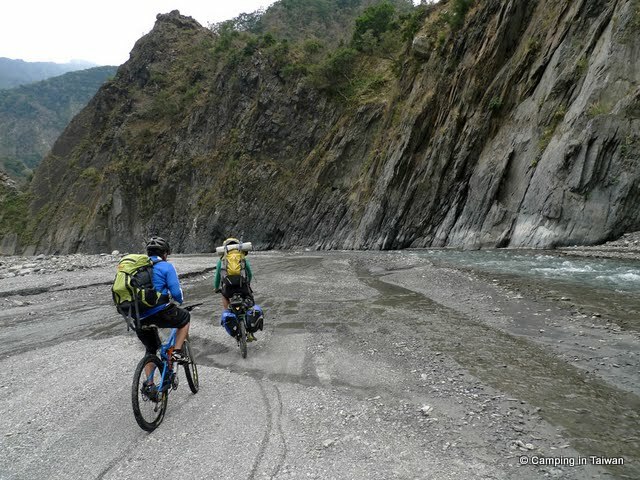 We did not have the exact track of this route but on calculation from the google map we expected it to be around 12.5Km starting from Tawu village along North Ailiao River 隘寮北溪 to Hayou River 哈尤溪 and we should be able to reach our destination in 3hours. From Tawu village we started off our journey around 12noon and somehow by 1630 we still have not reach our destination and decided to find a place to camp for the night. After returning from the trip and the records from the GPS, the first day we covered 10.8Km (red) to our campsite, the next day from our campsite, it take another 5.6Km (yellow) to the hot spring. 1200 noon Tawu, the real journey starts. 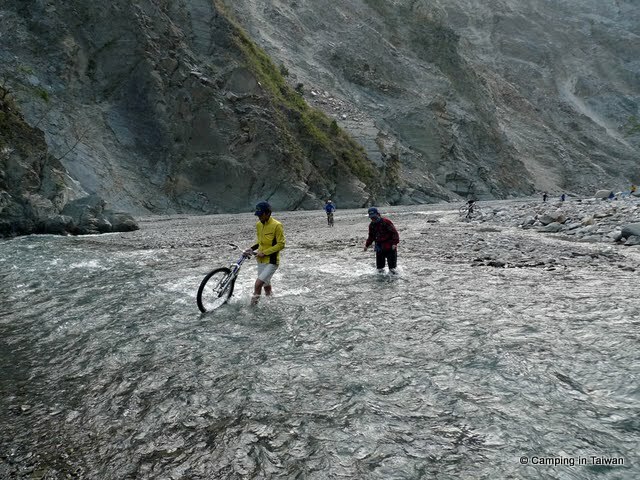 9am morning, the bikers had left the camp for the hot spring, we decided to hike instead as my partner knees was hurt from the cold river water. Finally the hot spring folowing from the cracks of the mountain wall into a make shift bath area left by previous campers. We left the hot spring around 12noon and arrived at our campsite around 1340hrs, took our lunch and broke camp around 1430. 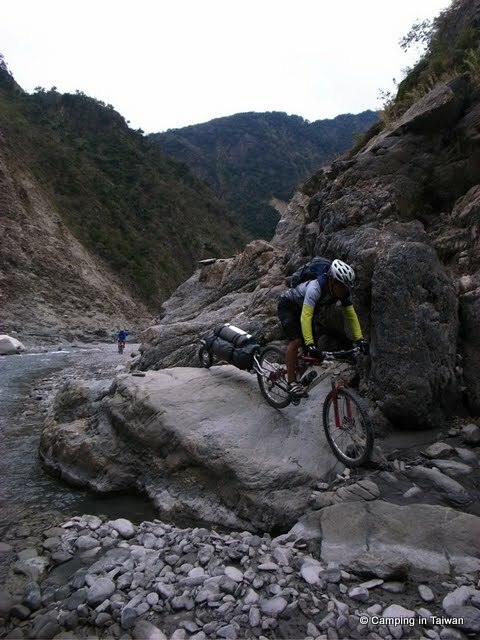 We were all exhausted, I had been carrying two bikes through the countless river crossing and both my legs were cramped up. Finally we arrived at our vehicle around 1640hrs. DINNER!!! I was craving for Urn Roast Chicken and found this joint at Santimen. 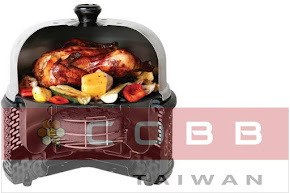 The roast chicken is simply delicious, I am not bragging because I was hungry, it was really good and it cost NT550 a chick. They even provided free desserts, oranges and the sweet millet dessert which I finished most of it. According to the local, venturing this river is best done during Winter, by Summer the river will swell and it is not passable. If you plan hiking, do it early around 8~9am. 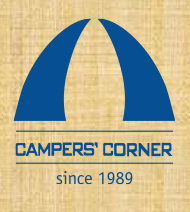 You do not need hiking shoes or boots just a pair of wet shoes and sandal for camp. Study the weather before you go, any heavy rain fall in the east will still swell the river. 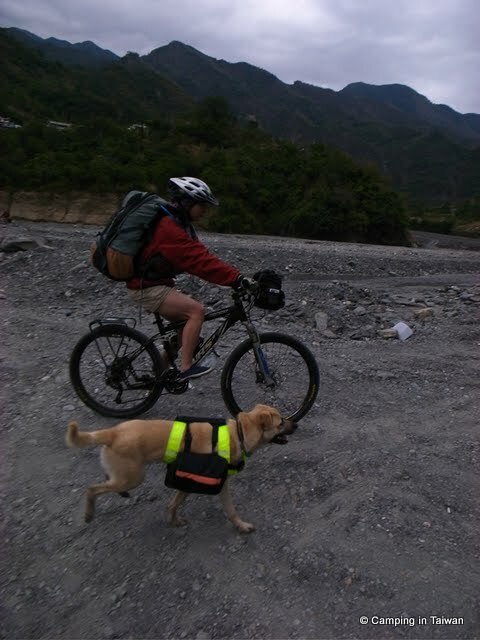 If you are planning MTB, carry a backpack. 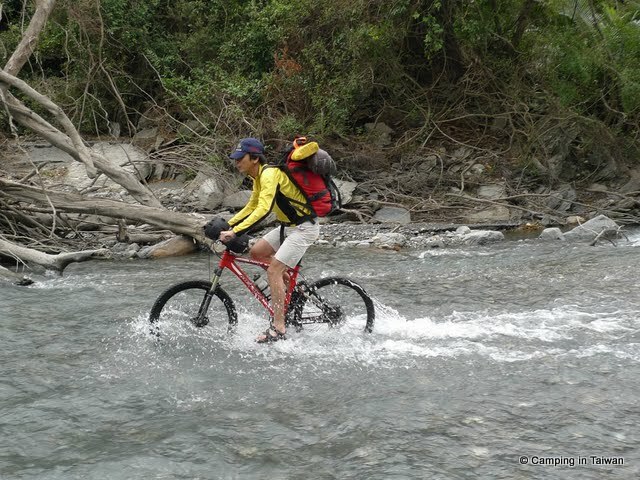 Any load on your bike will hider your river crossing. Amazing trip.. I plan to go on this trip.. I had it circled on the map before I read this!!! Simply amazing!!! I'm jealous. 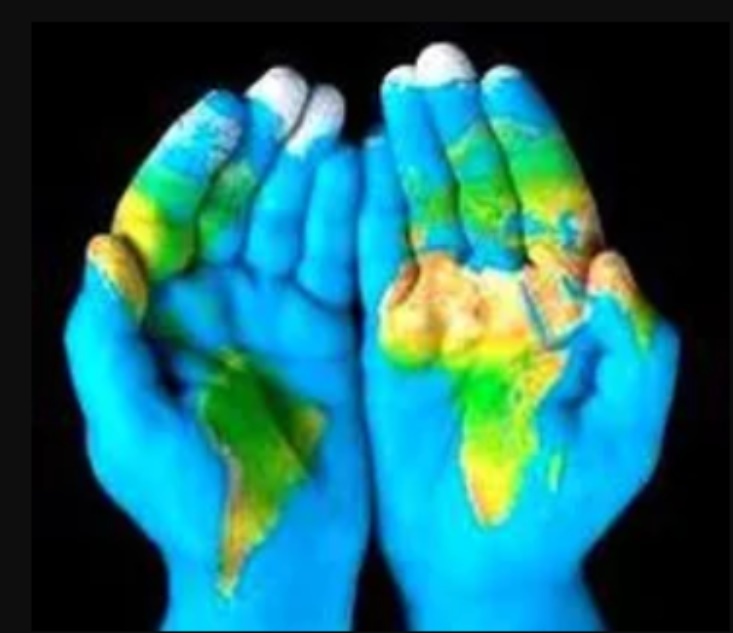 You plan to go back here anytime soon? =) I also want to eat some sandimen chicken!!! No plans at the moment to head back this trail. Not sure if the Hot Spring is still there but suggest check on internet for more recent activity. If plan to attempt this trip, do it after Dec where the river water is less active. Interesting little article. Had to feel sorry for Siboy. I hope you're taking care of him and he got a good feed after the hike! Any place I can hire a driver or rent a 4wheel vehicle to start of hiking trails to Hayou hot springs river? Maybe in Wutai village?